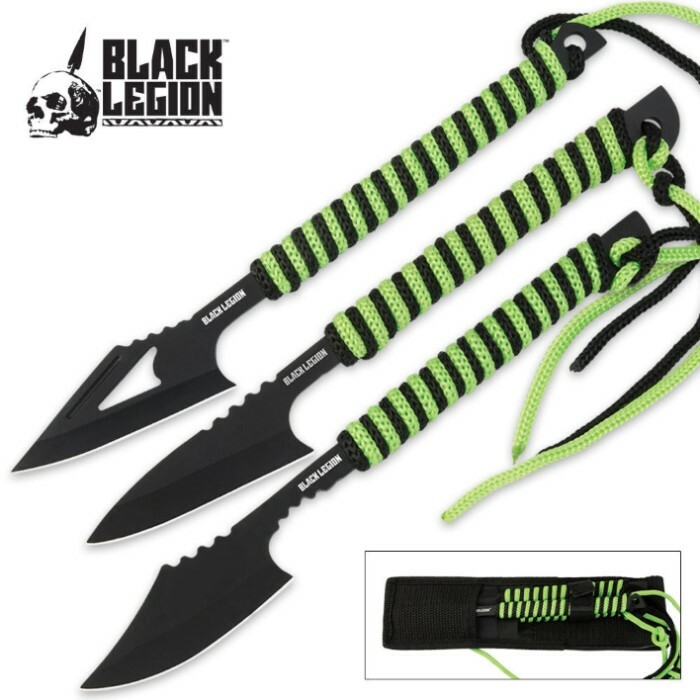 Three blades are always better than one, and Black Legion delivers with this three-piece harpoon set. Each harpoon features one-piece stainless steel construction with non-glare black finish. 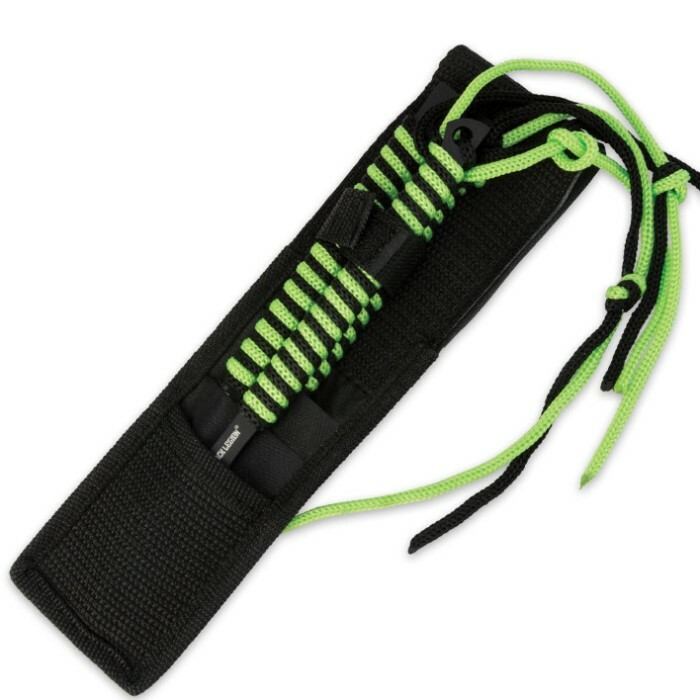 The green and black striped cord handles offer a secure grip but can be unwound and used for a variety applications in emergency and survival situations. The exposed tang on the end can also be used for prying and leverage. It's true they are real sharp right out of the box! Light weight enough to throw accurately! I have to say I am very happy with all the products I have ordered so far from BUDK. Can't wait to shop for more!!! These little suckers are sharp! I unwrapped one of the handles, used the cord to lash it to the end of a piece of thin bamboo and speared two fish! Amazing. Stays in place solid as a rock. Keep up the good work budk, seems like with you guys around, it's tougher to keep my $ in my pockets and not yours! More Zombie survival items please.